Darrell’s Home Improvements is ready to help you keep your home in top shape with home repair and improvement services, whether it’s painting or installing new plumbing fixtures in your bathroom. We pride ourselves in not only our 30-minute callback guarantee, but our discount program for retired and military. 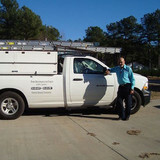 Our goal is to provide you with prompt, friendly, dependable service for all of your home repair needs. If you have a problem with your home, need new work done, and so forth, you don’t want to have to wait for a solution. We believe that superior customer service not only means top-quality products and workmanship, but reliability as well. Give us a call today. We look forward to serving you. 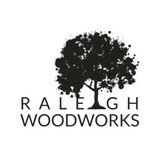 At Raleigh Woodworks, we never tell our customers “that won’t work.” We know, with a little collaboration and out-of-the-box thinking, we can make it work. From whole home renovations to custom furniture design, let us bring your unique vision to life! 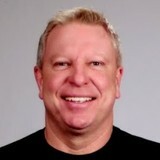 My name is Willis Gatten and when I retired from being a General Contractor I soon learned that I needed more to do. 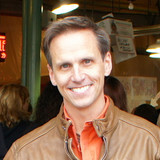 I have done many many remodeling projects and built many, many complete homes. My website was designed to show you just some of the work I have done. If you have questions about what you want to do in your home or office, call me perhaps I can help you decide what to do I also have many years experience in mobile home repair and remodeling. Additions to existing homes are a good way to increase your living space. My business is, and always will be, based on the principal "where craftsmanship still counts", references upon request, no job is too small, and I always give free estimates. 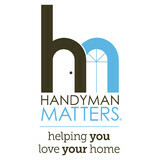 If you need work done in your home, Happy Home Specialist is the Handyman to hire. Give us a call today for more information! Hire us for all your handyman needs! Offering to our clients quality work, better prices, and excellent customer service. The satisfaction of our customers is our greatest happiness. Let Cutting Edge Handyman Services complete your TO DO LIST so you can spend more quality time with your family. We have the time to make your TO DO LIST go away with just one phone call. We can assist in the small jobs like replacing a light bulb, hanging pictures, etc., to the large jobs like adding on to your deck, replacing windows, doors and more.